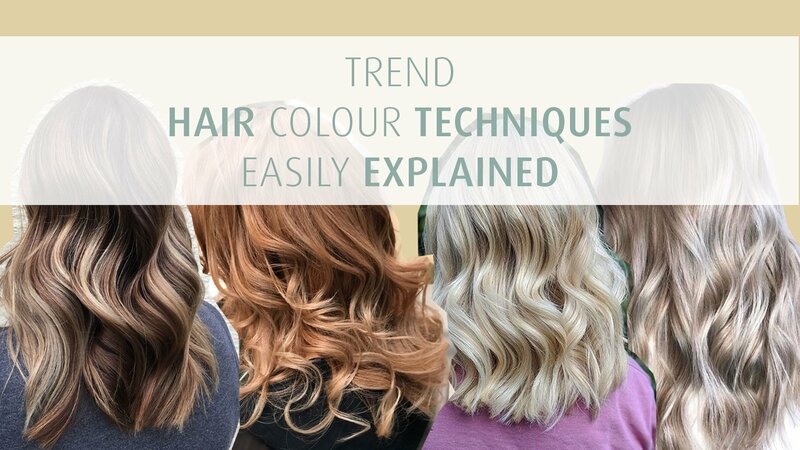 Balayage, Ombré, Babylights…with all the trending colour techniques out there, clients often get confused. To remove all ambiguities once and for all and help their clients to decide on their favoured look already pre-consultation, ZASA concept from Marseille wrote down everything there is to know about this decade’s most common colouring techniques. But this guide is not only for your clients – it can also help you to refresh your knowledge about the small application differences that will create the WOW-effect you’re looking for. The beautiful Balayage technique was born in Paris in 1965 and, back then, it was known as “Balayage à Coton”, due to the fact that the hand-painted hair strands were separated by the rest of the hair using cotton strips. This natural and revolutionary sun-kissed look quickly became a favourite of both hairstylists and their clients. The difference between Balayage and Hair Painting thereby resides in how the colour is applied on the hair strands. In the Balayage technique, the colour is beautifully and effortlessly applied on the hair strands’ surface, the final result being a more natural, sun-kissed effect. You can apply the colour by using a 1-point, 2-point (V) or 3 point (W) method. On the other hand, in the Hair Painting technique, the colour is applied more uniform and heavier, often similar to the foil technique. It also has to be retouched more often as the hair grows, to prevent any lines of demarcation from showing. Balayage: The colour is gently applied by using a hand-painting technique (without foils), only on the surface of the hair strands. The colour should blend in perfectly, leaving no signs of demarcation, for a more natural-looking result. The transition from darker roots to much lighter ends hasn’t always been as subtle and natural looking as we know it today. Maybe it will be a surprise, but the beautiful Ombré is actually a modern version of the Dip Dye hairstyle! Remember how, at the beginning of the 21st century, Madonna’s 80s’ blonde hair with dark roots has inspired many actresses such as Drew Barrymore to reenact this rebel look? Over the years, the technique of gradually lightening the hair has become highly appreciated by hairstylists. Nowadays, it has evolved into one natural look that we absolutely adore: The Ombré Hairstyle! You might ask yourself – what’s the difference between the two hair colouring techniques described above? The answer is: Transition! Dip Dye means lightening up the hair base colour by displaying a clear line of demarcation, with almost no transition at all. Ombré means gradually lightening up the hair base colour, with a subtle, but well-saturated transition from roots to edges. Foil technique dilemma: Babylights or Highlights? The Baby Blonde Balayage or Californian Balayage is a foil highlighting technique applied on very thin hair strands. The hair is lightened up to several tones, using variable levels of transition. This technique reminds us of the naturally sun-kissed hair small children usually have, hence its name. Applying this fine colouring technique is a bit more time-consuming than the usual highlights, but the result is low-maintenance and very natural-looking! How-to: Gradually lighten up very thin hair strands, by applying the colour closer to the roots. Separate the painted hair strands with foils. It is time-consuming, we know, but the highly natural-looking result is totally worth the effort! With this foil technique, you can add highlights onto specific hair sections. Usually it is recommended to insist with the colour closer to the hair tips or on the hair strands contouring the face. Just like make-up, which outlines your clients’ facial features, this technique aims to highlight the best parts of their hair! How-to: Apply the colour on specific hair strands only, in order to reflect light and create the impression of more volume. Insist on the hair edges and on the hair strands outlining the face. If you are not sure which technique to go for, bear in mind that the French Balayage is the point of departure for all the others! For example, in order to achieve a perfect Ombré Hairstyle, you need to hand-paint some fine strands of hair closer to the roots, for a more subtle transition. Moreover, each Foil Highlight technique shares the same method, the difference consisting in the foils used to separate the hair strands and their variable level of thickness. We can’t wait to see your results – don’t forget to share your wonderful in-salon transformations with us.